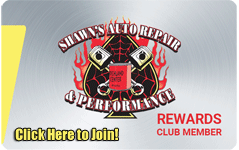 Drive Train repair, Shawn's Auto Repair and Performance in Richland Center, WI 53581 knows how to fix the problem. Our knowledgeable experts will diagnose the situation and help you make a decision. Leave the dirty work to us! A clutch is a component of the drive train that engages and disengages the power transmission from the driving shaft to driven shaft. The clutch is located between the gearbox and the engine. During a gear change, disengaging is required and the clutch facilitates this disengagement. Clutches need periodic servicing and replacing. When it comes to clutch repairs and replacements, you can count on Shawn's Auto Repair and Performance in Richland Center, WI 53581. We have engine experts who will ensure that all your truck or fleet clutch issues are addressed. The differential is another component of your truck's drive train. The differential lets your truck make turns with ease (remember, the different wheels of your truck travel varying distances when turning). The differential should be serviced regularly. Your fleet of trucks requires periodic differential repairs and replacement. At Shawn's Auto Repair and Performance, we offer differential repair, rebuild, or maintenance services for trucks. With time, moisture, pressure, heat and load cause gear oil to breakdown leading to lubrication failure and worn out gears. This will result in noisy engines and poor truck performance. To solve driveline problems, you need to have worn-out lubricant and engine parts replaced. To have this done by experts, call 608-649-2886 or visit Shawn's Auto Repair and Performance today. We will ensure that you experience smoother gear shifting. With time, a truck's transmission wears out and starts developing problems. Transmission problems are known to cause mechanical breakdowns. When this happens, you need to have the transmission repaired, rebuilt, or replaced. For everything from transmission rebuilding to transmission repair and transmission replacement, trust Shawn's Auto Repair and Performance. Call us or visit us today. We have recommended Shawn's to numerous people. My husband and I always feel confident that Shawn will give us honest advice and that work will be done properly. In fact, Shawn has gone out of his way quite a few times to help us out. Shawns always seem to find the problem and they are always nice and curtious to me when I go in there. You have done an Excellent job each and every time that you have worked on my truck!